What are the goals of ITEG? How can I certify as an authorised ITEG expert? How can I test the TSE calculation program? What are the costs of the participation? The Independent Tree Expert Group is a new initiative picking up the results of an extensive practice test of the research group on examination equipment of the Fachverband Geprüfter Baumpfleger e.V. [German incorporated professional association of certified tree surgeons] and deducing first steps for the future of tree safety tests. The goal of Independent Tree Expert Group is to combine visual and technical examination procedures in a standardized way, resulting in an open and integrated approach to tree safety checks and allowing for a comprehensive assessment of trees. The Independent Tree Expert Group is also a step towards a better qualification of authorised tree experts. Using current methods and procedures for tree safety checks in a proper, standard proceeding, complying with all existing rules, precise expert statements on tree stability can be made. Special attention is made to the expert group’s results regarding to the tensile test according to WESSOLLY. Thus, the online program Tree Stability Evaluation was developed to calculate trees’ stability and safety against fracture. The measured data from the tensile test according to WESSOLLY (tilting angle, edge fibre strain, edge fibre compression and tensile load) are calculated proportionally to the estimated wind load, resulting in safety statements. An expert seminar, hosted by Nuernberger Schule, is planned to qualify ITEG members. It shall provide qualified persons with an intensive training on the job as an authorised expert of tree care and tree statics. In several course modules the participants focus on the variety of tasks of an authorised expert. In addition to legal facts, subject-specific information, and current methods of integrated tree safety checks, a particular emphasis will be on how to create expert opinions. The online use of the calculation program requires a registration and currently is only intended to give interested users, when having entered the data required, an idea on the tensile test’s proceeding. TSE therefore is not suited to carrying out independent assessments of stability and safety against fracture for “real life applications”. 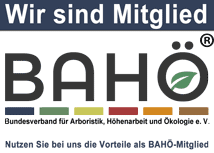 Interested tree experts who want to test TSE can register at http://www.die-nuernberger.info. Currently, participation is for free. However, it is intended to charge fees for certain ITEG offerings. ITEG members who have obtained certain qualifications and have available all analysis tools required will be certified as an Expert member. In spring 2011, ITEG will invite their members to a meeting at Altdorf, Germany. At this meeting, goals and requests will be discussed.